On the southwestern side of Bulhaa Lhohi is an excellent reef suitable for both snorkelers and divers. The uninhabited island is ideal for picnics, and safari boats take advantage of the island’s good anchorage. Coral growth is outstanding and there is above average fish life. Nights dives are popular here. The reef has many caves between seven and 20 meters. One cave at 16 meters is like a huge window and has a swim-through to another cave where sea fans with feather stars dominate. It is an excellent location for photographers. Above this cave at 12 meters is another similar cave just as exciting. Rehi Reef is a giri 1.5km east of Bulhaa Lhohi. The top of the reef is at three meters, and the northern and western sides are the most interesting. The rest appears rather dull, without many features or good coral growth. There is a big cave and ledges stepping from five to 15 meters on the northwest side where there are black coral bushes and sea fans, as well as harlequin sweetlips and snapper. Close by at 15 meters is an arch in the reef. 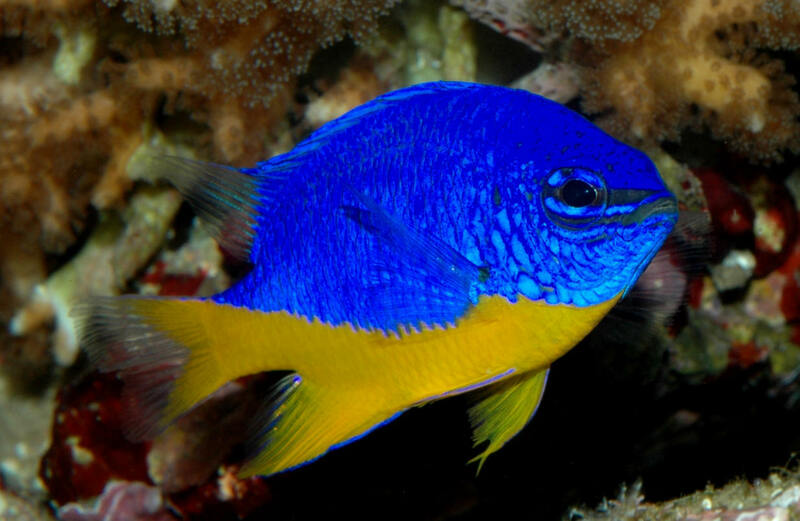 Commonly sighted fish on the reef include blue triggerfish and the less common boomerang triggerfish, gold-spot emperor, large-eye emperor, blue-dash fusilier and yellow-back fusilier. The barren part of the reef also has its unique marine life among the coral rubble and sand, especially the goby and juvenile reindeer wrasse at the southern end. Boomerang triggerfish are commonly seen on Rehi Reef. Panettone is an exceptional dive. 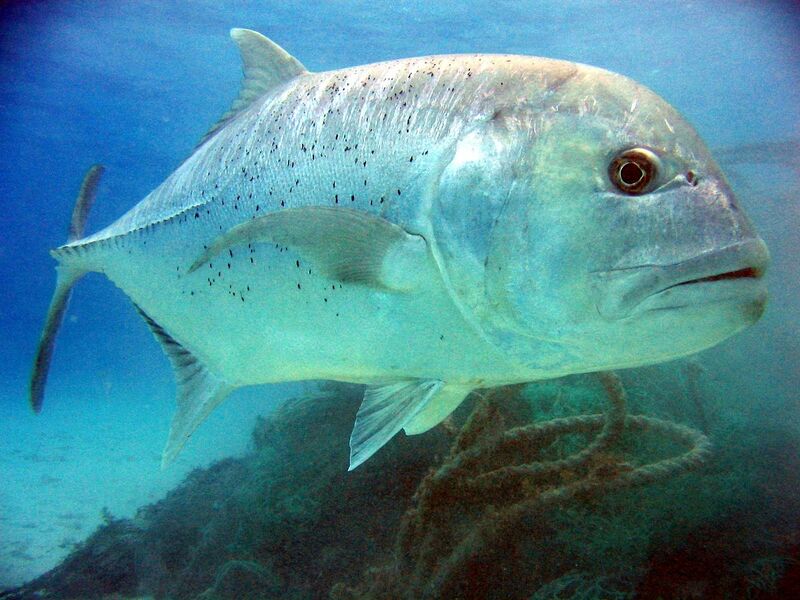 Kalahandi is the Maldivian name for the giant trevally, and this fish is common along the reef. There are many features of interest including reef outcrops at 27 meters where white-tips and grey reef sharks, barracuda and giant trevally gather. There are numerous overhangs down to 20 meters and one big cave between 10 and 20 meters with a brilliant display of soft coral and sea fans. The entire reef is covered in soft coral – no wonder as the current really streams through this channel. Turtles are frequently seen, and during the northeast monsoon, mantas make an appearance. 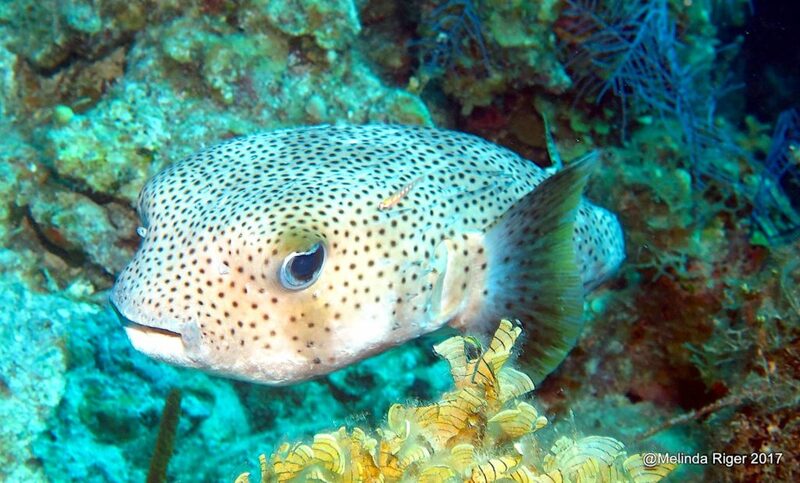 There are many reef fish, especially snapper, and a surprising number of starry rabbitfish. 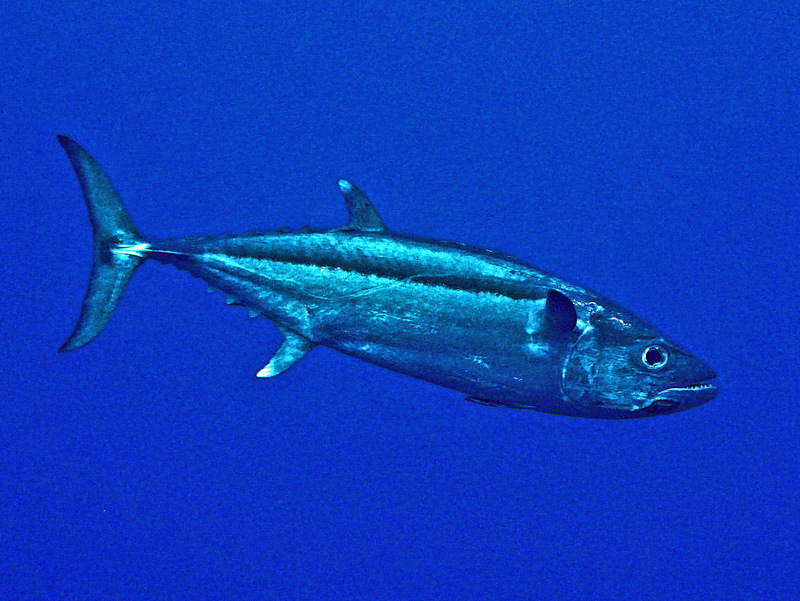 Kalahandi is the Maldivian name for the giant trevally, and this fish is common along the reef. With a strong outgoing current, divers can start from a protected sandy inlet on the inside near the big cave. Divers may find themselves being swept towards the top of the reef in which case they should swim down to the protection of the reef in deeper water. Extreme care should be taken with strong outgoing currents and divers should stay shallow on the outside reef at these times. Be prepared to make an open water safety stop if required. 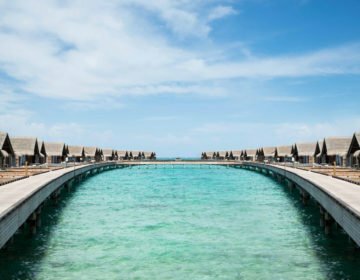 A remarkably long and spectacular thila with many exciting features. It is a large and rounded thila, nearly one kilometer in diameter with its best diving on the northern side. The thila drops in steps deeper depths on the western side near the outside of the atoll. The channel bottoms out to a maximum of 35 meters inside Kalhahandhi Kandu. 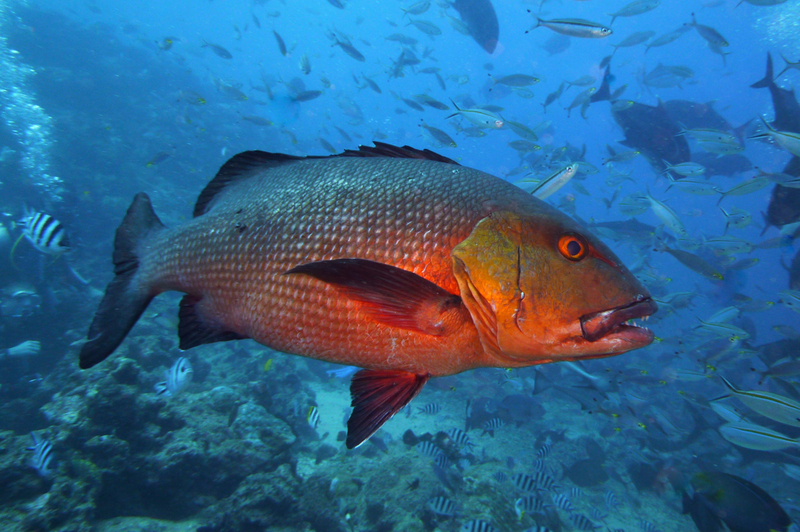 There are shallow caves with saber squirrelfish and steep ledges for most of the dive between 10 and 25 meters. Several reef outcrops at 25 meters or deeper are well worth a closer look. Around them are schools of masked bannerfish and surgeons, Moorish idols, striped fusilier and gold-spot emperor. 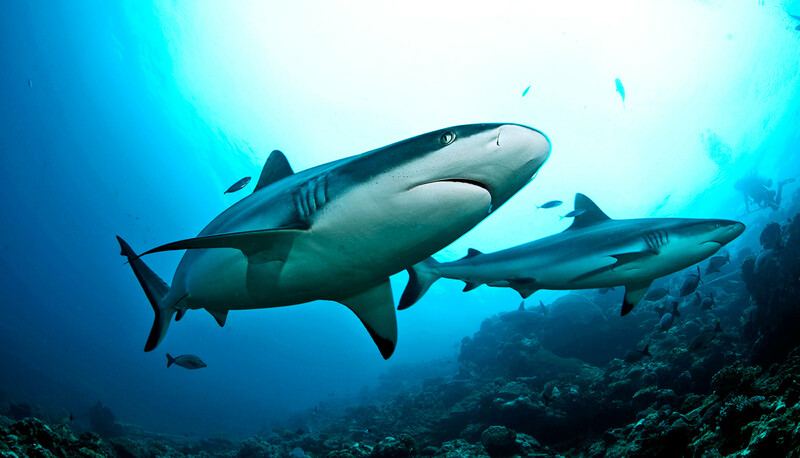 In the channel are grey reef sharks, eagle rays, dog-toothed tuna, and mantas in the northeast monsoon season. In the channel are dog-toothed tuna. A towering peak rising from more than 40 meters to six meters forms a narrow ridge extending westwards off the main reef. 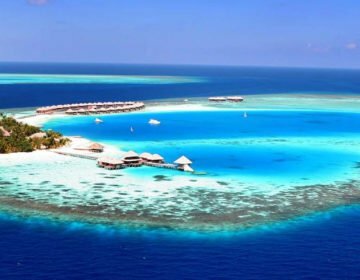 It is one of the most dramatic reef formations to be seen in the Maldives. A wall of sea fans lies on the outside of the peak at 35 meters, while all around the reef swim turtles, tailfin batfish, white-tip reef sharks. The top of the peak at six meters is covered in small anemones and hard coral. A tunnel cuts through the reef at 16 meters which divers can swim through, and schools of yellow sweeper inhabit two large arches in the reef on the south side at 15 meters. Another two rock pinnacles on the north side rise to 20 meters and can be included in this dive. There is a narrow canyon between these two pinnacles and black coral bushes sprout from the walls. 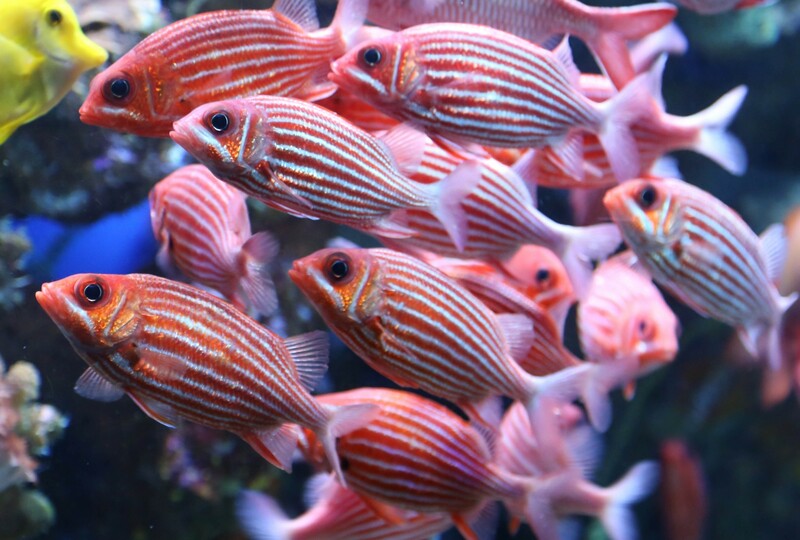 The reef top features many species of damselfish, snapper, cardinalfish, and wrasse. Significant stands of branching coral occur on the main reef. This dive is an ideal site for deep water specialty dives. Currents are normally very slight. This is an uninhabited island. It has good diving with many caves and a couple of swim-throughs with sea fans on the south side near the jetty between 15 and 20 meters. Marine life includes morays, sweetlips, pufferfish, and porcupinefish, black snapper, and turtles. This thila is located 3.5 km southwest of Athurugaa. 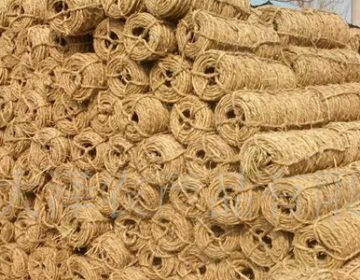 It is a small thila not more than 70 meters long with the top at 17 meters. One big cave on the north side has a colony of tiny yellow wrasse, and there are a few interesting ledges with big sea fans on the east side. 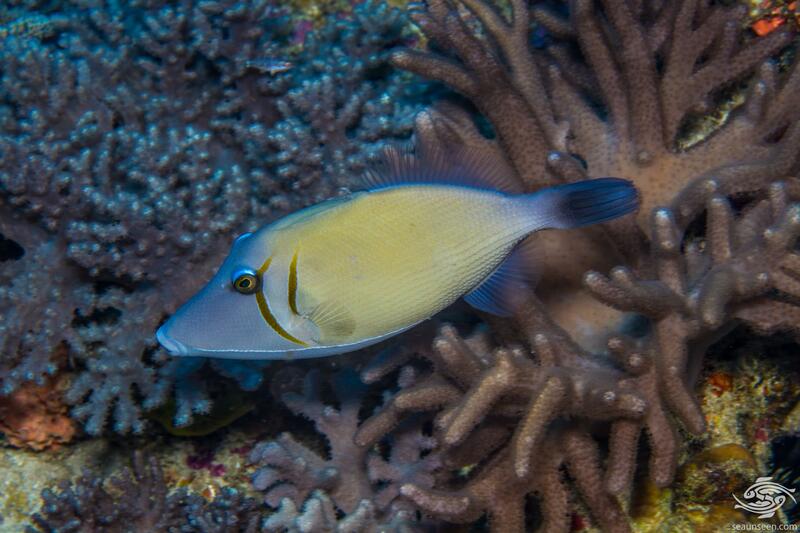 There is also a school of tallfin batfish, red snapper and on the reef top are many damselfish. Large dog-toothed tuna and grey reef sharks are the main attraction at Atabu Thila. Named after the Napoleon fish, Bulandili is a 1.5km drift dive which covers the northern outside corner of Moofushi Kandu. Like the rest of the channel, there are many caves and ledges. Come caves and overhangs have collapsed leaving the shattered remains on the reef. 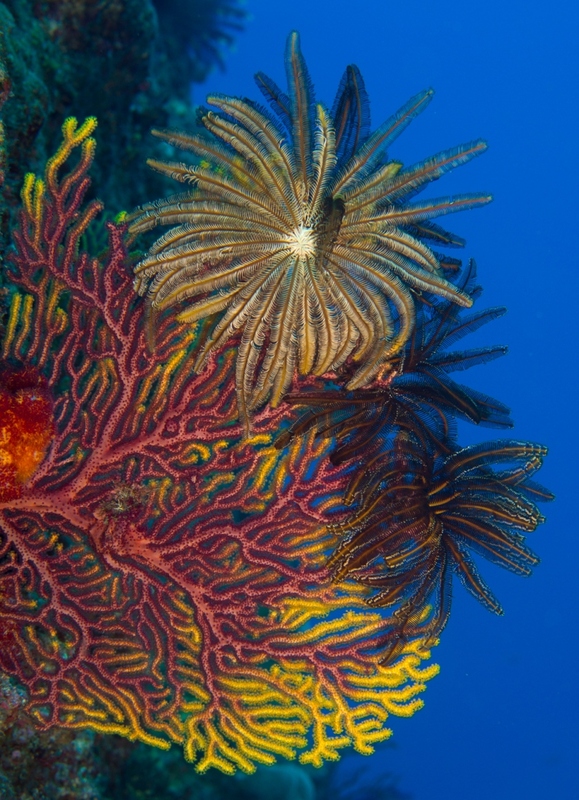 Invertebrates are in abundance all over the reef. 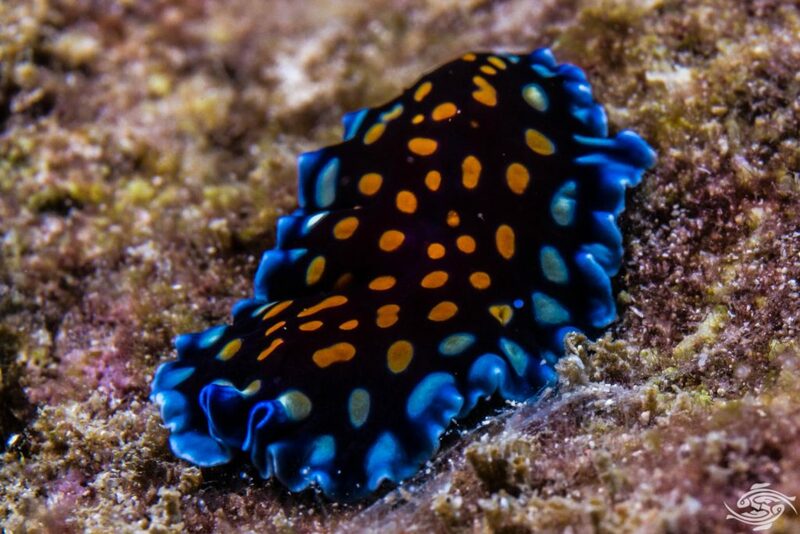 These include shrimp, sea stars, flatworms, pin cushions, and sea cucumbers. Sea anemones cling to the reef top, and soft coral thrives on the cliff faces. Napoleon eagle rays and sharks stand out among the diverse marine life. Powerful seas and currents have eroded a trail of gutters on the outside reef top at 10 meters. Five minutes from the boat by from Moofushi resort is a 1.5 km drift dive on the north side of Moofushi channel. A feature of this dive is at least three big cuttings in the reef-forming overhangs and caves between 10 and 25 meters. The caves are full or marine life: sea fans, whips, squirrelfish, grouper, emperor, and sweetlips. The channel is home to numerous sharks, eagle rays and Napoleon. Emas Thila is about one km long and is a gathering point for mantas during the northeast monsoon season. It is also an excellent drift dive on both the north and south sides of the thila. The reef top is 15 meters on the western or outside of the thila, but rises to about 10 meters on the inside section. Mantas mostly focus on some coral rocks on the reef top on the outside of the thila. Along the reef edge is a shallow ledge at 15 meters. The outside reef slopes gently to 30 meters before dropping more steeply on the outer wall. Vast number of fish gather beneath the ledges and caves that undercut the thila below 15 meters. On the southern side, the channel cuts into the thila and here the ledges mingle, creating a spectacular series of caves directly below one another to a depth of more than 30 meters. This wall of caves continues for most of the thila. In the caves are many sea fans, sea whips, soft coral and squirrelfish. Big dog-toothed tuna, Napoleon, and sharks can be found in the channel. A terrace at 30 meters deep has small gullies and arches around which great schools of fish, most notably the masked bannerfish gather, as well as harlequin sweetlips, oriental sweetlips, trevally, red bass, and emperor. Currents can be strong, but because the thila is so big, experienced divers can make a comfortable drift dive in moderately strong currents. Safety balloons are essential.